Good kitchen tool. 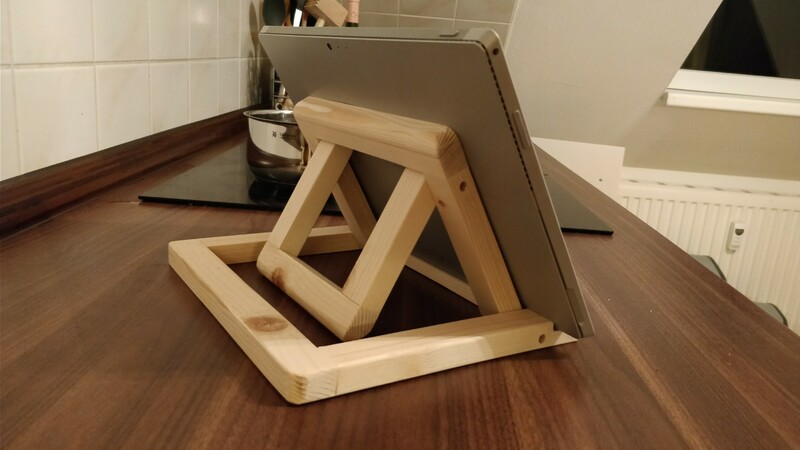 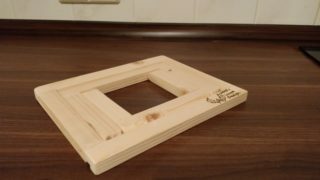 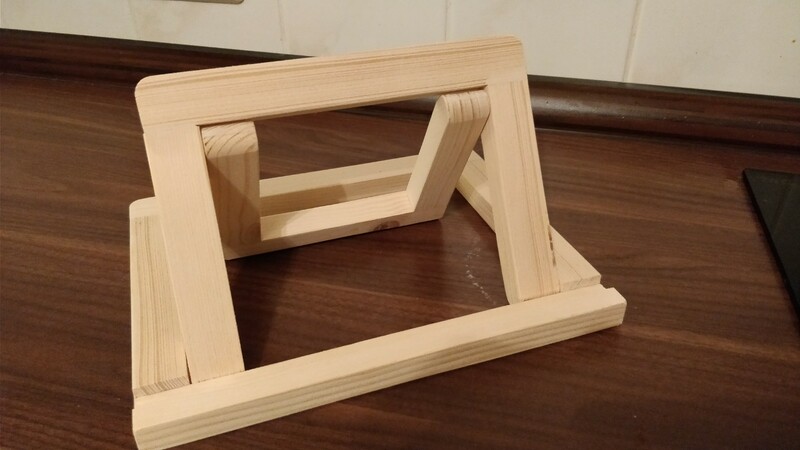 A tablet stand, that can also be used for book. The joints are made out of wooden dowel.